Progress is slow but steady. We are ready to get it done and I think the next few weeks will see major progress. We are just now getting to the pretty part, which makes my heart flutter a little. The floor is in. 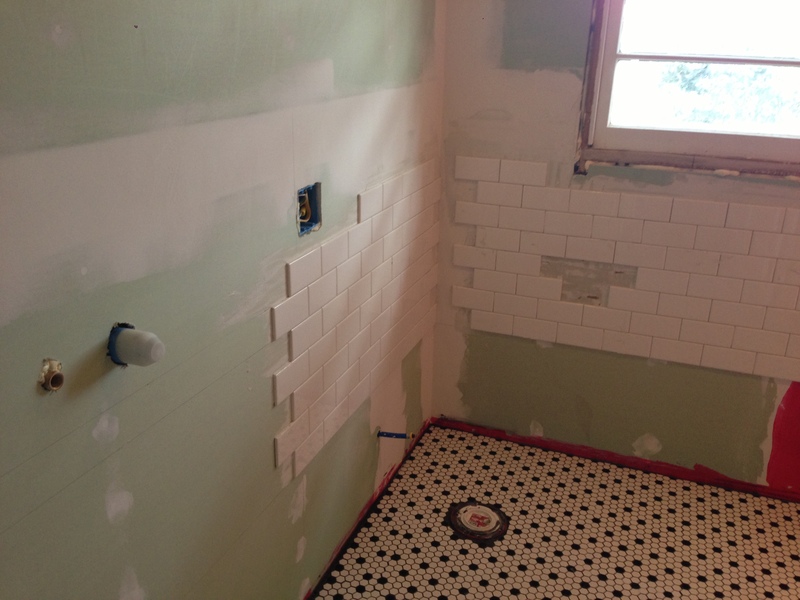 Scott trimmed all the tile and had it laid out when I returned from working out of town last week. 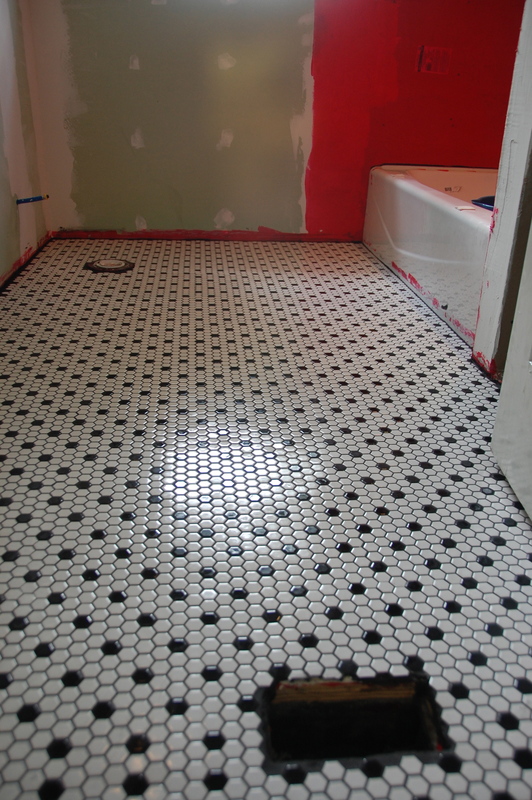 I am a huge fan of the dark grout. And below is what it looks like now. 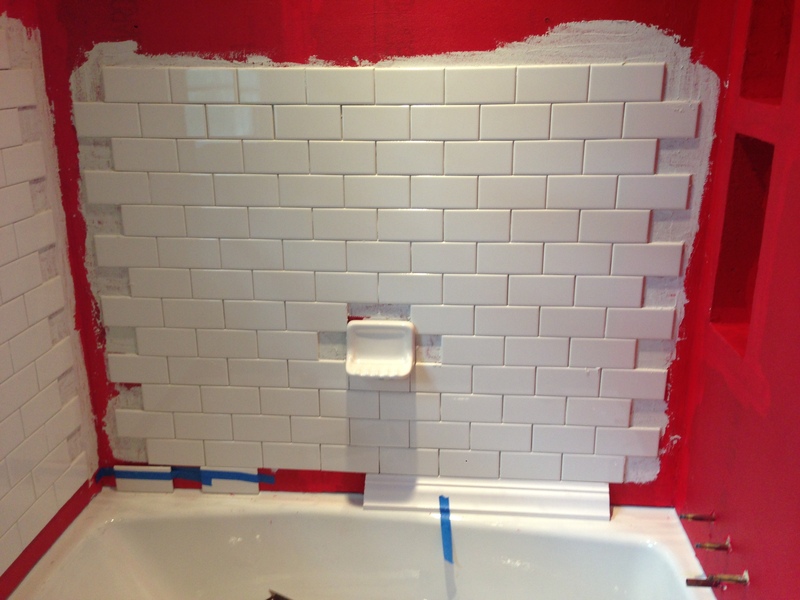 This weekend we will maybe finish the tiling. This will mean renting a tile cutter and just knocking it out. 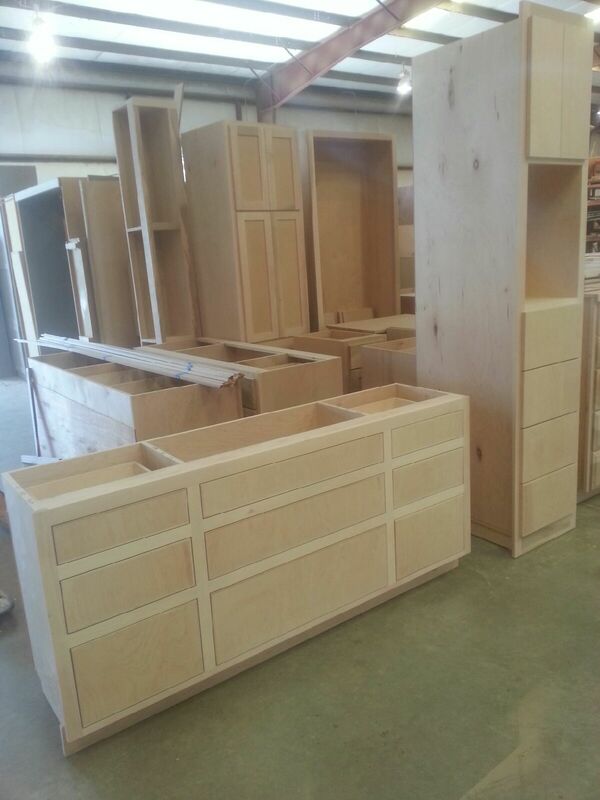 Then our cabinet maker–Ken Switzer–can install the cabinetry. He emailed me this picture, which got me really excited. Notice that the big piece has inset doors and the other doors are overlaid. I love the inset but am gambling a little by mixing the two styles. This is mainly for cost reasons. Inset is an up charge but I love inset. We will paint the cabinetry white, while we are waiting for the countertop to be fabricated. This is the part that I am very excited about. 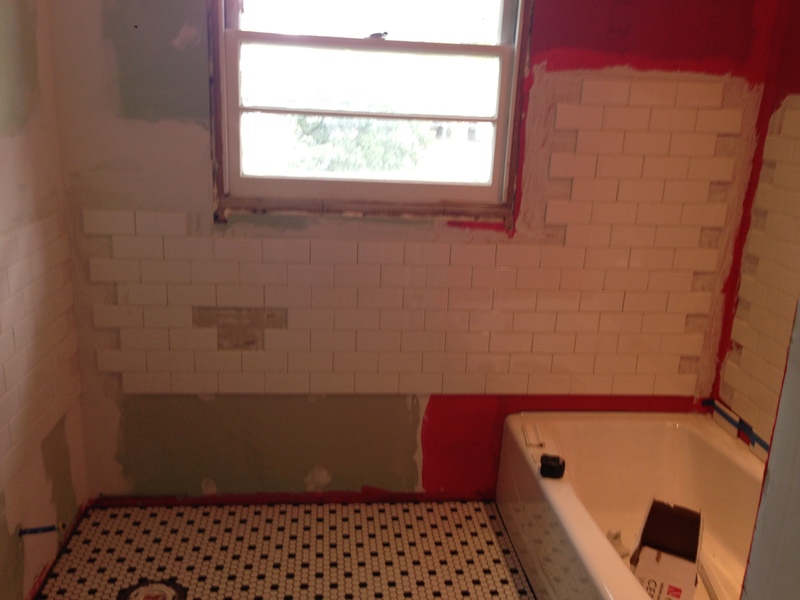 Seeing the cabinetry with the trough sink and the wall faucets. EXCITING. The fabrication takes 3 weeks–the Austin building economy is insane right now. Everything is delayed because there is so much business! One cabinet guy I called wouldn’t even give me a quote–too busy. So there is not much negotiating going on and lots of delays because of work load. Oh well. Stay tuned.